England in the fifteenth century was a turbulent world, with many people feeling they needed to rule the country. During the Wars of the Roses, the Lancasters, under Richard III, were fighting the Yorks, under Henry Tudor, to keep the throne of England. Even Richard’s soldiers weren’t thrilled with him, so he was defeated and killed at Bosworth Field. Henry assumed the throne and called himself Henry VII. He and his wife had eight children. Only two sons and two daughters survived to adulthood. The older son, Arthur, died before he could assume the throne. So, Henry, the younger son became king and also inherited his sister-in-law as wife. 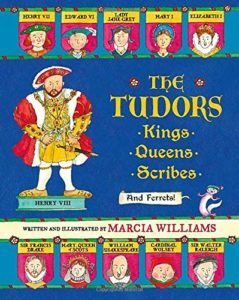 Williams walks the reader through each of Henry’s six wives, then through the reigns of Edward VI, Lady Jane Grey, and Mary Tudor. She devotes many pages to Elizabeth I, with Mary Queen of Scots, the Spanish Armada, Sir Francis Drake, Sir Walter Raleigh, and William Shakespeare. Formatted like a picture book, but more like a graphic novel, the pages of this book are packed with information for kids just beginning to learn about this era. 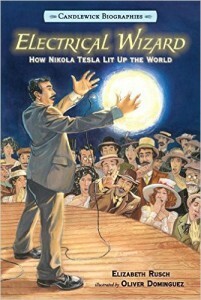 Richly illustrated and detailed with the quality of life in that era, this is a fun way to learn about history. Given the perpetual stories about the Tudors, this is a great opportunity to clue the kids in. 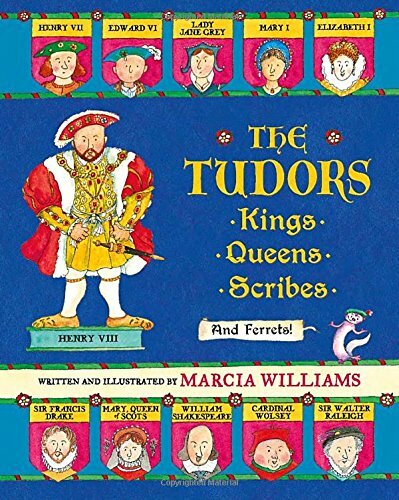 Title: The Tudors: Kings, Queens, Scribes, and Ferrets! This newly revised book was been recommended by both the National Science Teachers Association and by the Izaak Walton League of America in an earlier edition. 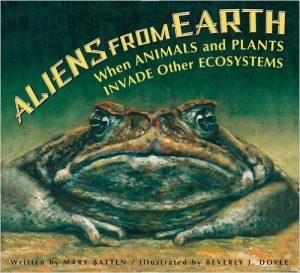 Entertaining as well as educational, it cites many examples of introduction of plants and animals into ecosystems where they were not developed. In each and every case, the new plant or animal had a long-lasting, or even disastrous effect on the new ecosystem. Some of the examples are well-known, but some are more obscure and surprising. Background includes a discussion of how alien introduction has accelerated since the 1800s and more mobility for humans. A prime example is pigs in Hawaii. Well-meaning settlers brought the pigs. The pigs spread and created small ponds by rooting in the dirt. Sailors inadvertently released mosquito larvae. And the mosquitos wiped out several species of birds. Starlings, not native to North America, were released in New York’s Central Park and now compete for food and nesting with others throughout America. Other examples are gypsy moths, Africanized bees, fire ants, zebra mussels, brown tree snakes in Guam, kudzu, and cane toads in Australia. Many alien species are introduced inadvertently, but even the well-meaning introductions can be devastating. The illustrations are clear and accurate, adding to the educational value. 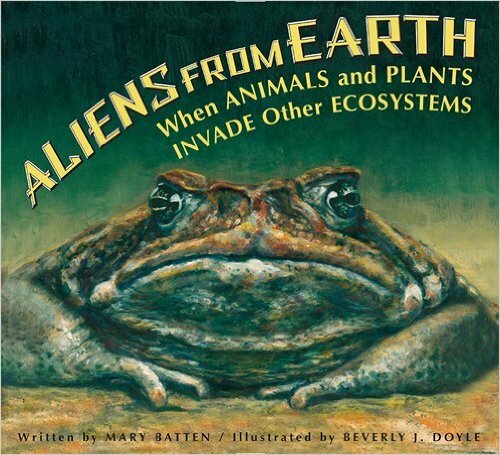 There’s even a key for native species, endangered or extinct species, and aliens. While you might not have heard of the NATO Phonetic alphabet or the International Radiotelephony Spelling Alphabet you have probably heard someone use it. The military members use it, as do emergency workers, airline pilots and sometimes even confused sales people on the other end of the phone. C stands for Charlie and Z is Zulu. But it isn’t that easy to figure out in this book. 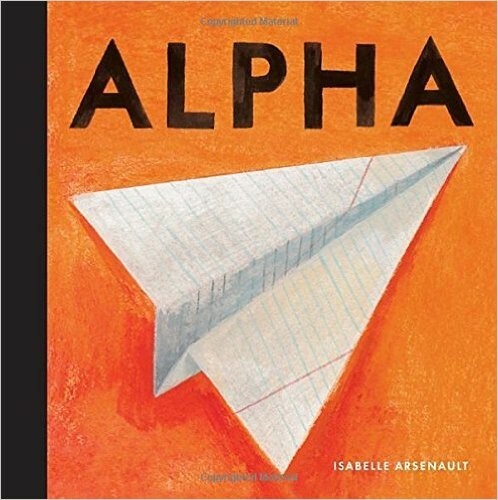 On each left side page grade three readers will find one word with the first letter a different color than the rest of the word. The different colored letters help keep the alphabet in order and offer clues to the reader. Some of the clues will still leave readers without much help due to their age. However, this does provide an introduction to a code used by emergency responders to clarify communication over radios and walkie-talkies of the past. Librarians and teachers will want to use this book to fill a niche left open in the past. Normally, this alphabet is taught on a need to know basis for adults. But it is good for students to become familiar with something they will hear from time to time. Extras: The author’s note at the end of the book explains this emergency code. 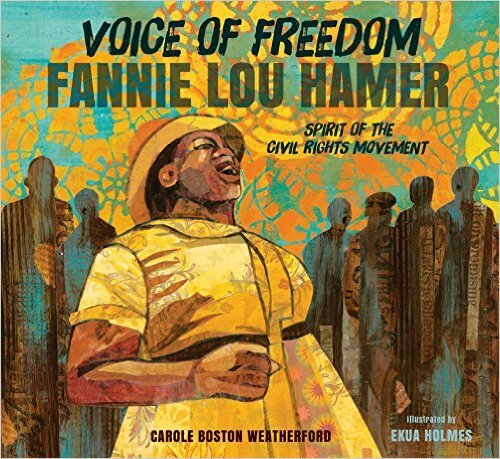 In light of the fiftieth anniversary of the Voting Rights Act of 1965, many books on the civil rights movement are being published. This book gives a personal face to the movement like no other. Set squarely in the events of the twentieth century, this is the story of one woman who had a profound effect on the world. The timeline is very helpful in letting the reader know what else is going on. Fannie Lou Townsend was born to poor Mississippi sharecroppers in 1917, the last of twenty children. To say she had a rough childhood would be a severe understatement. She picked cotton alongside her family after suffering through polio. After her marriage to Pap Hamer, her doctor forced her sterilization, but she adopted two daughters. Partnering with white Freedom Riders, she learned of her right to vote and eventually ran for Congress. She was jailed and beaten into lingering injury. Any time she found herself at odds with a group seeking to give her limited help, she moved on to a more helpful group. The Democrats would not seat her group at convention, so she helped form a separate party. She also worked for women’s rights and for early education. 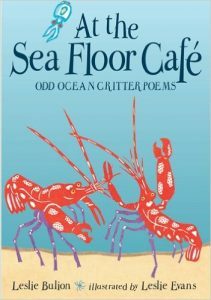 Weatherford’s use of language is striking, lyrical, and completely appropriate for the topic. Holmes’ use of collage for the backdrop adds immeasurably to the feel of the text and often lets the reader know about many of the events happening around Fannie Lou. 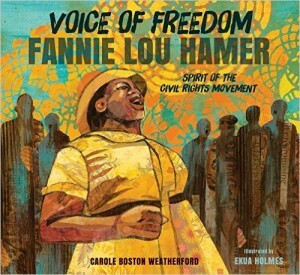 Fourth graders will learn about literature, civil rights, history, and the biography of an individual. Parents and teachers may want to consider reading the text aloud to facilitate discussion. When it became time to build a bridge across the enormous Niagara Falls between the United States and Canada, the best way to begin seemed to include a single string. But how could anyone get a string between the two nations? Charles Ellet, Jr. decided to sponsor a kite flying contest, with a reward for anyone who could span the chasm with a kite string. That was exactly what a young Irish immigrant boy named Homan Walsh loved to do more than anything else. Fly kites. This is his story. It is written sparingly, like exquisite poetry. But it tells details. How he designed his kite, built it, named it, tested it. This story tells of his hardship of getting stranded by a huge winter storm. Readers will cheer for Homan. Readers will be amazed and want to read about Niagara Falls. They will want to build kites and go outside to fly them. 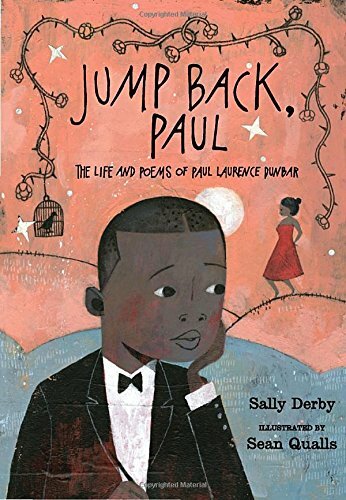 Fourth grade readers will dream big dreams and go forth to follow those big dreams. 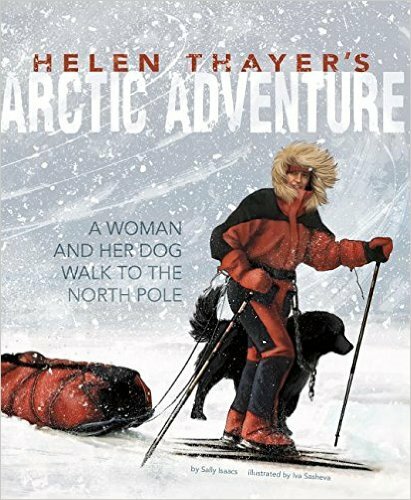 Teachers and librarians can use this book in the core curriculum to teach geography, biography, history and research in a really entertaining way. 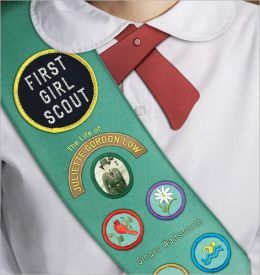 This engaging biography of Juliette Gordon Low will have special meaning for all current and former Girl Scouts, but it is well worth the time of all students. Daisy, as she was called, lived during a fascinating time in history, and she really did live life to the fullest. 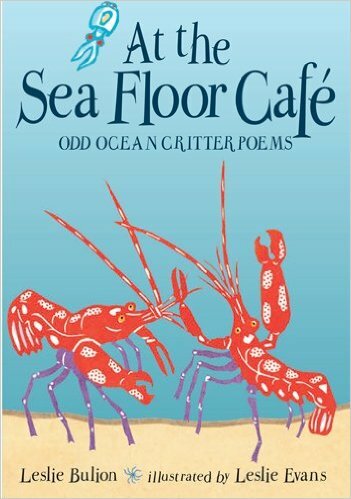 The author vividly depicts the living conditions and concerns throughout Daisy’s life. The reader learns a lot about her personality and some of her motivations. Daisy was born shortly before the beginning of the Civil War in Savannah, Georgia. Her mother was from the North. Both families were prominent, so frequent guests at the home included General Sherman and President Taft. Daisy was well-educated, nearly deaf, and married to an Englishman. She knew royalty and had close encounters with danger due to her frequent travels during war and peace. She met Lord Robert Baden-Powell through friends in London. He was forming a group called Boy Scouts, and Daisy thought that sounded great for girls too. She would form a group of girl guides then promptly tell someone else to take over. But she stuck with the idea and started the movement in the US. At her death from breast cancer, there were millions of Girl Scouts worldwide. Named to the 2013 Amelia Bloomer List by the American Library Association, this well-research and well-presented biography is perfect for fourth graders learning about research or about this period of history. 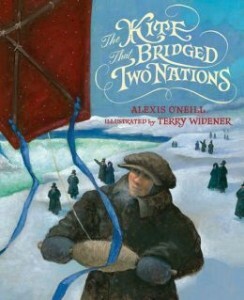 The author’s excellent website, www.gingerwadsworth.com, has an eight-page teacher’s guide with many reading activities. This is also a great source to increase reading comprehension and literacy skills.